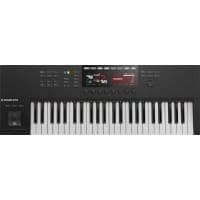 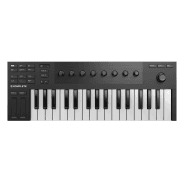 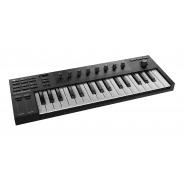 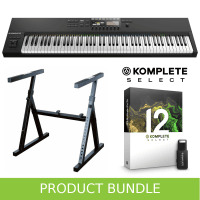 The Komplete Kontrol M32 is a compact yet feature filled 32-key MIDI keyboard perfect for travelling musicians, people with limited desk space or a beginner looking to get into music production. 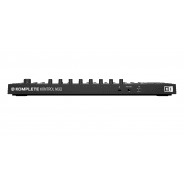 It's also USB bus powered, meaning no external power is required - just plug and play. 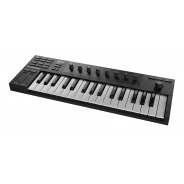 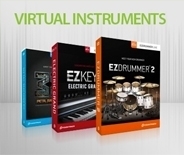 The keyboard features 32 keys, which is more than enough to lay ideas down and trigger samples. The keybed is custom designed especially for this keyboard by Native Instruments too, feels very responsive and is velocity sensitive. 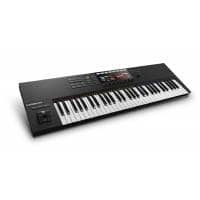 The M32 also includes Smart Play, a great feature which turns the keyboard from chromatic to over 100 scales, modes, chord progressions and arpeggios, meaning you won't ever hit a wrong note again. 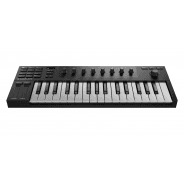 In terms of control, the M32 is packed with features. 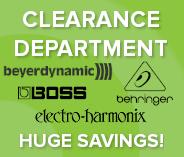 There are 8 touch sensitive control knobs for on the fly MIDI parameter editing, two touch strips for expressions (modulation & pitch band), a 4-way directional push encoder for quick one-handed preset browsing, and an OLED display which will show which preset or control currently selected. There is also transport control such as Play, Stop, Loop, Metronome, Octave up & down, as well as bespoke control for Native Instruments such as preset selection. 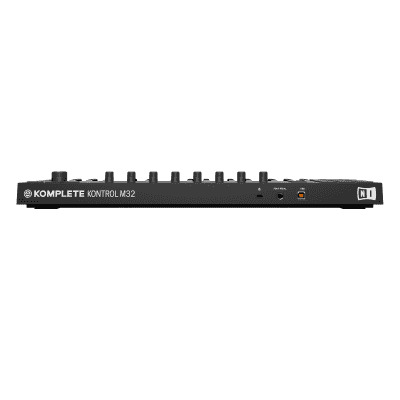 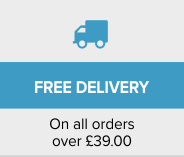 The Komplete Kontrol M32 is NKS compatible.